After fictional books, destinations, animals, monsters, and beverages, it’s time for drugs and substances that we can find in the world of fiction. You’ll find them in a new infographic put together by a law company Jim Adler & Associates. Yes, fictional drugs from books are included, naming only Harry Potter, and The Hunger Games. This infographic explores the treacherous nature of some of these drugs and substances, with consequences ranging from reckless arrogance to utter destruction of the brain. 22 de June de 2016 | spoilado! Formerly a graphic designer and bookbinder, Cecilia Levy, is now an independent artist who experiments with three-dimensional paper objects. Levy has found a wonderful way to repurpose old and damaged books. The artist transforms them into beautiful 3D objects, such as cups and bowls. I use books from the beginning of the last century. Take them apart, shred or cut the pages into small pieces, and paste them together again. The pages are reassembled into new objects. Eggshell thin, yet remarkably steady. The story lives on, but in a different shape. 19 de June de 2016 | spoilado! Tell-A-Tale has published an infographic that puts together most important facts about reading. It’s is never too late in life to pick up a book. For all you know, it might even save your life. Don’t believe us? Read on. A growing selection of book quotes that are being created by our team of book lovers. Who doesn’t know the wonderful, extremely popular book quotes from J.K. Rowling, Neil Gaiman, Ralph Waldo Emerson, Oscar Wilde, or Toni Morrison? Do you want more? There are thousands of other quotes about books, libraries, and reading on Goodreads. Still hungry? Below you’ll find the quotes that are not available anywhere else. All the quotes have been coined by our team members. We are constantly inventing new ideas, so you can be sure we’ll add the best ones to the list. On more thing, if you want book quotes to be present in your real life, not only on a computer screen. Here are the sites that offer high-quality designs on a large selection of items, including posters, mugs, clothes, or tablet cases. Etsy – it’s the top destination for anyone who wants to express the love for books. The largest marketplace with hand-crafted goods offers thousands of literary quotes – on posters, jewelry, personal items, electronic accessories, and clothes. Redbubble – a marketplace for custom-designed items, including prints, stationery, cases & covers, or t-shirts. Opposite to other sites, such as CafePress, the quality of artwork is very high. Zazzle – the site offers a huge variety of merchandise, from clothing, to home decor, to personal accessories. What’s more, users can upload their own image and create their own design. Amazon Handmade – if you don’t want to sign up to other online stores, you can start exploring Amazon’s own section with hand-crafted items. It’s quickly growing, and you’ll find here posters, home decor, and stationery – also with book quotes. Do you have a thought about books or reading that you’re particularly proud about? Make sure to share it in the comments below, together with a link to your blog or social media profile. We are planning to create a list of book quotes from our readers. Stay tuned! I see a book, I see a coffee, I see a good day ahead. If you think you know everything, you clearly haven’t been to a library for a long time. Reading a book doesn’t have to make you better, but it will make you feel better. When you want to focus, start reading a book. And when you’ll read a good book, you won’t be able to focus on anything else. If a book is like a closest friend, then I can’t remember all my closest friends. The opening line of a book is the end of who you have been so far. Even a good book might be too long and too boring – just as your life without good books. If you can’t read the entire book, read the page. If you can’t read entire page, read a sentence. If you can’t read entire sentence, read a word. Read. Read and be better. Don’t read and just be. Sometimes between the lines of a book you can find the meaning of your entire life. Start reading books and you will stop complaining about your life. Or the other way round. The book is a login to an exciting world, no password required. There is no chance you’ll read all books in the world, but there is a chance the one you read is the right one. There are two kinds of people: those who say they read books, and those who don’t say anything because they read books. The best place to make New Year resolutions is the nearest library. Stop reading books and your brain will start behaving like 404 error page. Don’t think too much before you reach for a book. Think while you’re reading it. A time spent with a book is lost only when you spend it on something else than reading. You can always start reading a book tomorrow, but make sure to finish one today. In subway, you can watch someone read a book, or you can be someone reading a book. To choose between print books and ebooks is like to choose between tea and coffee. When you have problems, start reading. There’s nothing as calming as learning about problems of the others. The book is not an escape from life, but a shortcut to a better one. We love book quotes and regularly blog about our new findinds. Make sure you won’t miss a new post, subscribe by RSS or email. Let’s also connect on Facebook, Twitter, and Pinterest. 17 de June de 2016 | spoilado! If you are never enough of quotes about or from books, make sure to check out the new infographic created by Readers, a website dedicated to books and reading. We looked at classic books to find some of the most beloved characters and their thought-provoking quotes that will live forever in print and in our hearts. You’ll find here thoughts expressed by your favorite book characters. Helen Burns (Jane Eyre), Robert Jordan (For Whom the Bell Tolls), or Jean Louise “Scout” Finch (To Kill a Mockingbird) are among them. Still hungry for quotes? Make sure to go through our list of 50 most inspirational quotes from books. If you want to keep the Harry Potter magic in your real life – here are the best gifts inspired by J.K. Rowling’s famous series. On the web, there are thousands of other products every Harry Potter would love to own. This list put together the most brilliant items: jewelry, posters and wall art, scented candles, clothing, and more. 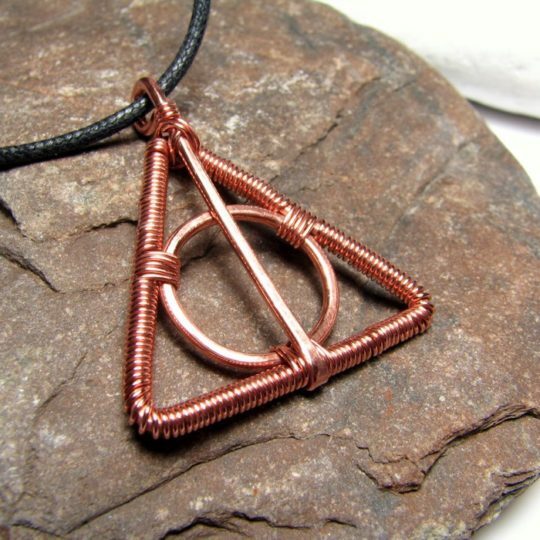 If there is any Harry Potter themed product, you’d like to share with our readers, feel free to add it in the comments section. Thanks! Harry Potter Potion Decorations. Little magic bottles inspired by Harry Potter potions. They come in a variety of sizes and colors, and would be a perfect Christmas tree ornament. Harry Potter Espresso Patronum Coffee Mug. A paraphrase of “Expecto Patronum”, a famous spell from Harry Potter &and The Prisoner of Azakaban, is perfect for a coffee mug. Harry Potter Pillow Cover. If you want to keep the Harry Potter magic day and night. This bright pillow cover from Anders Attic features the iconic glasses and a lightning bolt. 9 de June de 2016 | spoilado! 2 de June de 2016 | spoilado! Keep in mind these simple tips, and you’ll be able to read a lot more books than you think you would. For many people, the goal to read 52 books per year seems to be a big challenge. Before having time to finish the chapter of the book (the same you were at two weeks ago), there is always one more meeting, one more mail, and one more phone call to an important client. When you finally get back home, you’re tired so much, you fall asleep after reading one or two pages. Obviously, you can always pick up short books to read, but are there any other ways to encourage the mind to read – and finish – several books a month? I fully agree with Always Be Reading. Using every opportunity to reach for a book, at any time and place, is the most effective way to devote to reading a lot of time during a day. You can read on the train or in a taxi, when you are waiting for a bus or in doctor’s office. Five minutes here, fifteen minutes there, and it may turn out you can read no less than an hour a day. Here are Harry Potter infographics and charts both wizards and muggles will be amazed to explore. Being a Harry Potter fan means you can recite by heart the names of most characters, or describe in detail what happened in a specific chapter in a specific book from the series. But are you sure you know absolutely everything about Hogwarts? This list of visuals will let you quickly check this out. From all over the web we’ve collected the most magical visuals describing the world of Harry Potter. You’ll find here the infographics with lots of facts and numbers about books and movies – but not only. Fun charts that refer to sometimes very specific topics are also included. You have to check out the visual that collects all the magical objects from the Harry Potter books. Or the beginner’s guide to Harry Potter wand motions. Or a history of Hogwarts house points. Click on each image to see it in full resolution. Make sure to check out the credit links to learn more about the featured infographics and charts. From Pottermore comes a fascinating timeline of the most thrilling of all battles. The SummHarry was designed by a comic artist, designer, and book author Lucy Knisley. This extraordinary chart will guide you through the plot of the entire Harry Potter saga. If you need a bit more info about each book, you can follow the visual guide that summarizes the first seven films. Awesome designers from Pop Chart Lab have created a chart that showcases the top magical object from the Harry Potter world, from the Mirror of Erised to the Sword of Gryffindor. Art director and illustrator Mary Brown has found out that Harry Potter and Star Wars sagas have surprisingly many similarities when it comes to character roles. Interesting facts about the books from Harry Potter series were put together in a gorgeous visual designed by Wayne Dorrington. The infographic shows how Harry Potter has been perceived by the public opinion around the world. It also shows facts and figures about worldwide sales and translations. Now it’s time to analyze movie adaptations of the Harry Potter series. The infographic prepared by Cinema Blend was made before the eight film was released. However, it includes some interesting info, for instance, the comparison of the top grossing fantasy movies. Harry Potter is not only about books and movies. It’s a huge business that includes almost all areas of the entertainment industry. The infographic designed by Mikey Burton puts together most interesting facts and numbers about J.K. Rowling’s magic empire. This gorgeous illustration by Tyler Feder lets you pick up how are you feeling today, having Harry Potter characters as a reference. The image is available as an instant download on Etsy, where you can also get the chart with foods of Harry Potter. The epic chart that lists Harry Potter characters. Designed by a Hungarian artist Fanni Blazsó, and released on Deviant Art. Some of the words haven’t been translated into English, but you’ll have no problem in getting their meaning. Wouldn’t you love to spend a day in Hogwarts? Or reach the location of Harry and Hermione’s campsite? Now that’s possible, thanks to the infographic that lists locations where Harry Potter movies were filmed. All twelve locations are in the UK. Plus, you’ll find here a map with eight Harry Potter spots in London. If you are the fan of Harry Potter, you have to be prepared for costs. Have you crossed the spendings listed in the infographic above? Every witch or wizard (even muggles) need to have the basics in wand motions. Here is a simple chart that will take you through the basics, designed by Leah LaPera. This periodic table focuses on Harry Potter world and lists 117 elements known to wizards. It was designed by Mikhaila Aldaba, a young graphic artist from the Philippines. The infographic includes stats, numbers and fun facts you might not have known about the movies, books, and characters belonging to Harry Potter universe. This visual collects the spells from Harry Potter books. It was created by a Malaysian Deviant artist Sean Chun Seian Liew. The infographic tracks every award and penalty across the seven Harry Potter books to bring you the ultimate guide to point-scoring at this school of witchcraft and wizardry. Want to get more lists like this? Make sure to subscribe by RSS or email. Let’s also connect on Facebook, Twitter, and Pinterest.